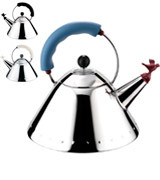 A graceful contoured profile and a desirable trim band make the kettle look stern and eccentric at the same time. The vibrantly coloured porcelain exterior doesn't stain, chip, or crack. The stainless steel handle with a silicone grip is sturdy but, at the same time, really comfortable. The whistle may be a tad too loud for some people. 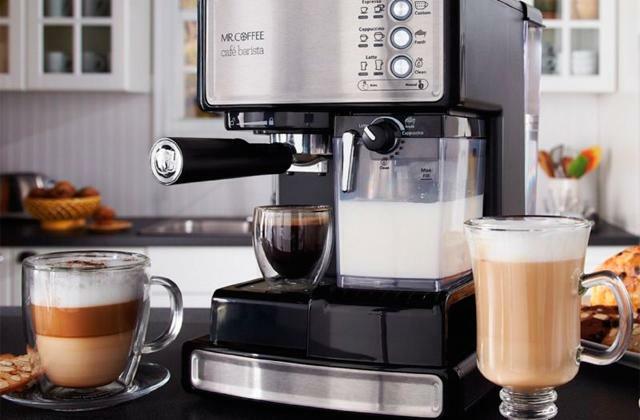 KitchenAid KTST20SBST will be able to bring a very distinct accent to your kitchen. 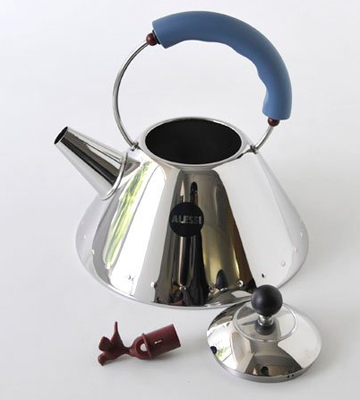 This isn't just a functional kitchen item nor is it just a practical kettle either. This is a product that will prove an elegant addition to any décor. A large lid opening makes it easier to pour water into the kettle. The flip-down stay-cool phenolic handle makes clean-up and maintenance as easy and effortless as it can be. A heavyweight metal construction evenly conducts heat across its surface, quickly heating the water inside. 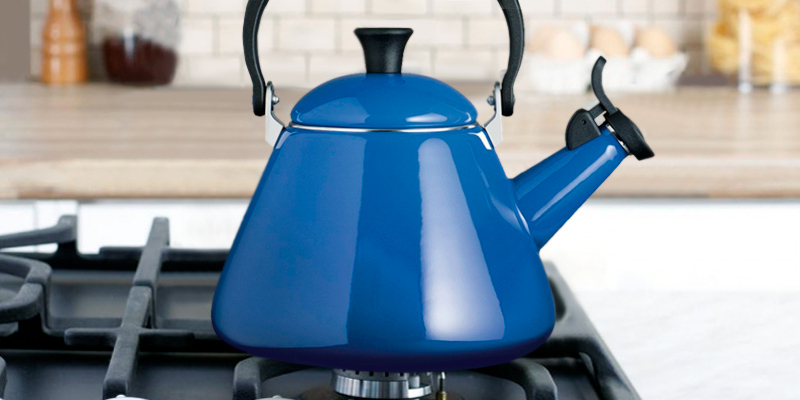 Le Creuset Kone stovetop kettle gives you a good combination of classic aesthetics with modern-day functionality and utility. 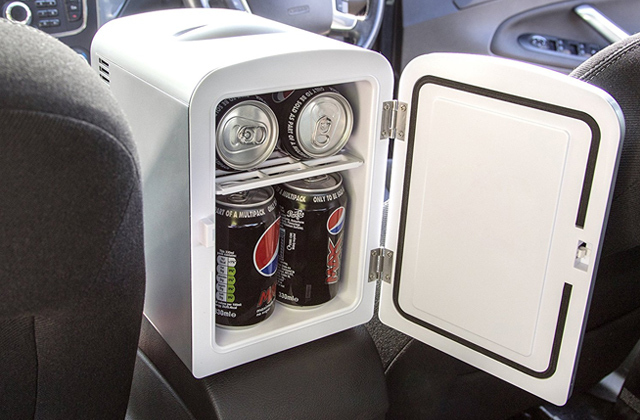 The model is available in a variety of colours, so you'll definitely be able to match your interior. The model is coated in a vitreous enamel finish in fiery chilli red. It makes an ace fit for contemporary or retro kitchens. Though it looks good, the kettle is tough as nails. 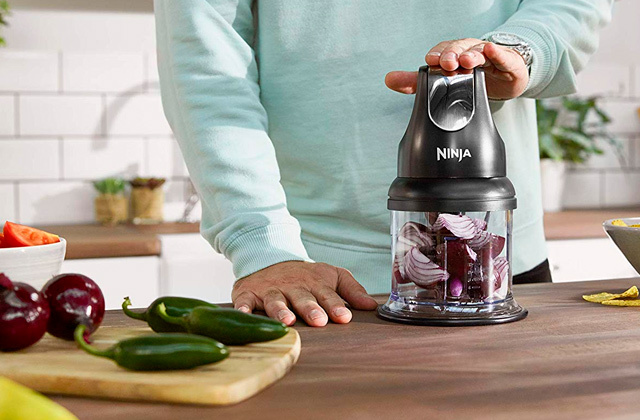 The ergonomic heat-resistant handle and knob stay cool to touch. You won't be able to burn your fingers even if you wanted to. The silicone touch point on the spout cap is a touch too small. KitchenCraft Le'Xpress is compatible with all heat sources, including induction hobs, AGA, and camping stoves. With 2 litres of volume, the stovetop kettle is the perfect fit for large families or for people who often have a few guests over. The kettle features a sleek silver mirror finish. The magnetic stainless steel heat-diffusing bottom heats up the water in no time at all. Equipped with a detachable whistle, the model will let you easily remove it whenever you're in the kitchen and don't want to hear it whistle into your ears. You have to take the spout cap off to pour the water, which is a little inconvenient. 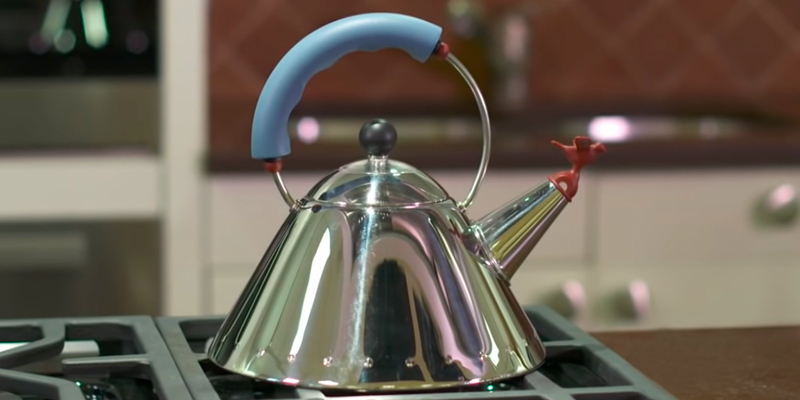 Alessi Blue Bird is a kettle for people who want something a little different, a product for customers who can appreciate a unique look and a bold design approach. Its whistle is loud and clear. The construction is really durable. Plus, it makes for a great gift. The porcelain enamel exterior comes in a variety of stain-resistant colours. The tight lid retains steam. 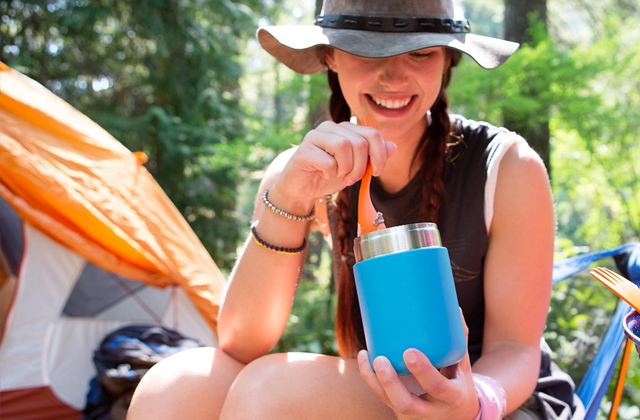 The lock-out spout comes equipped with a tapered rim that makes the kettle drip-free. The built-in whistle starts whistling the moment the water reaches the boiling point, so you waste less time and resources. Sturdy, efficient, and affordable, Prestige PR50558 has earned its spot on our list fair and square. 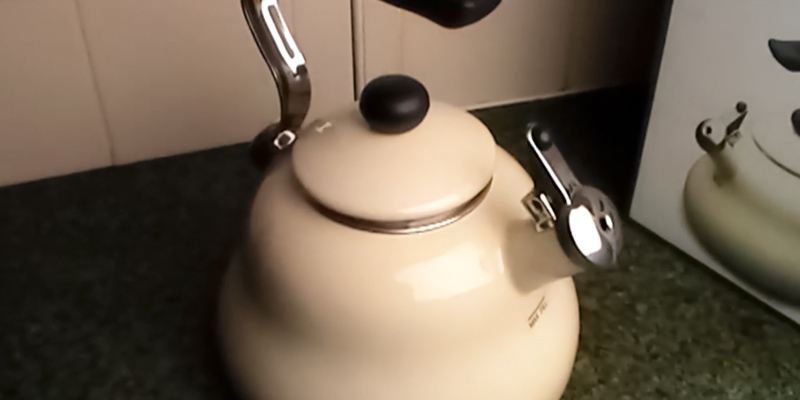 It is a good 2-litre stovetop kettle that doesn't take too much space. Furthermore, the company includes a 10-year warranty, another testament to its sturdy construction. KitchenAid KTST20SBST is not cheap but a good kettle is worth its price and this product is about as good as stovetop models get. 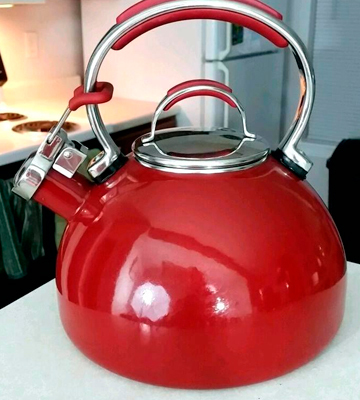 You don't want to buy a new kettle every year or two, so it is seldom a bad idea to go with a model that incorporates a timeless aesthetic. In this case, the aforementioned design is achieved thanks to the graceful contoured profile and a desirable trim band. Of course, part of it is also the vibrantly coloured porcelain exterior. The exterior, with its predominantly silver palette, isn't there just for the looks though. The material doesn't stain, chip, or crack, so it will likely be able to serve you for decades and maintain its elegant appearance no matter what. Though this is definitely a stovetop kettle that was designed with an emphasis on appearance, it doesn't bank solely on that aspect and delivers in just about every other category too. 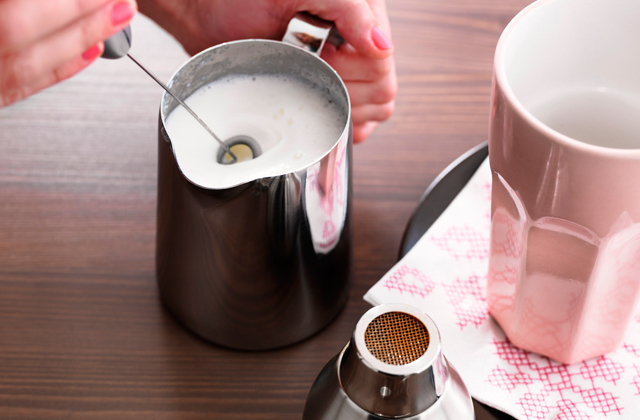 The thumb-press spout makes it really easy to pour, fill it with water, and clean the whole thing. The stainless steel handle with a silicone grip is sturdy but, at the same time, really comfortable. The whistle is clear and audible. In fact, some may find it a little too audible but we wouldn't hold it against the product. 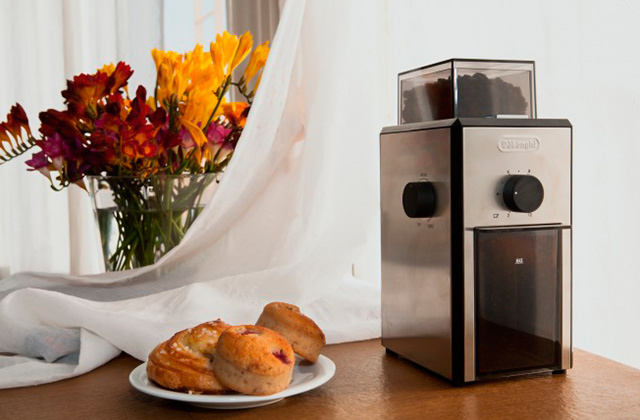 To put it a little differently, KitchenAid KTST20SBST will be able to bring a very distinct accent to your kitchen. This isn't just a functional kitchen item nor is it just a practical kettle either. This is a product that will prove an elegant addition to any interior. Le Creuset Kone incorporates that classic design that might look a little out of place in a modern kitchen but will definitely be able to blend well with something a little older or at least contemporary. 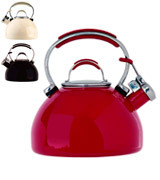 It comes in a variety of different colours too, from white and black to red and blue, so you shouldn't have any problems matching the kettle with your interior. Though mostly traditional, the model incorporates a slightly more modern take on the old formula. Sure, nothing new about a large lid opening that makes easier to pour water into the kettle. But the flip-down stay-cool phenolic handle with a plastic grip deviates a little from the orthodox approach. A construction like that is mostly there to make clean-up and maintenance as easy and effortless as possible and it does serve its purpose well enough. The spout cap with a plastic touch point makes sure you don't scald your fingers. It also streamlines water pouring. A drip-free spout is just about the only useful page from the new design book that the model doesn't borrow. A bit of a shame but nothing to lose sleep over either. What isn't a shame, however, is a heavyweight metal construction that evenly conducts heat across its surface, quickly heating the water inside. 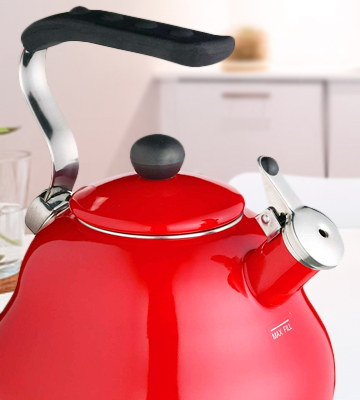 In other words, Le Creuset Kone stovetop kettle gives you a good combination of classic aesthetics with modern-day functionality and utility. KitchenCraft Le'Xpress has a lot going for it. First and foremost, the model is coated in a vitreous enamel finish in fiery chilli red. It makes an ace fit for contemporary or retro kitchens. Though it looks good, the kettle is tough as nails. 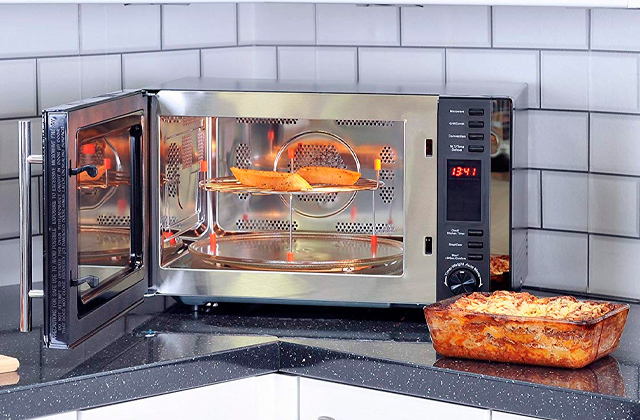 It works perfectly fine with all heat sources, including induction hobs, AGA and camping stoves. 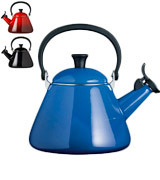 Plus, the steel construction with the enamel finish retains heat far better than your average kettle. But, most importantly, the model boasts 2 litres of volume. That makes the kettle particularly suitable for large families with lots of people who cannot imagine starting a day without a nice strong cuppa. 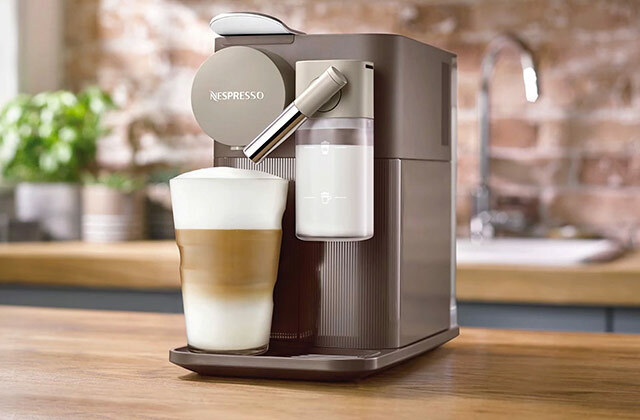 It will let you boil enough water for up to 10 cups of tea or coffee, so you can have as many friends over as you want and treat them all to a delicious cup of their favourite beverage at the same time. The ergonomic heat-resistant handle and knob stay cool to touch. 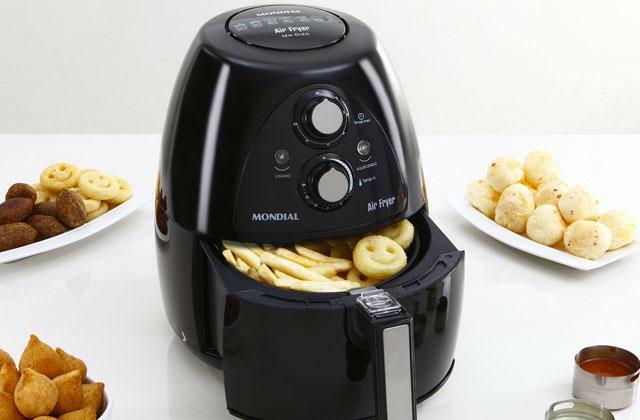 You won't be able to burn your fingers even if you wanted to. 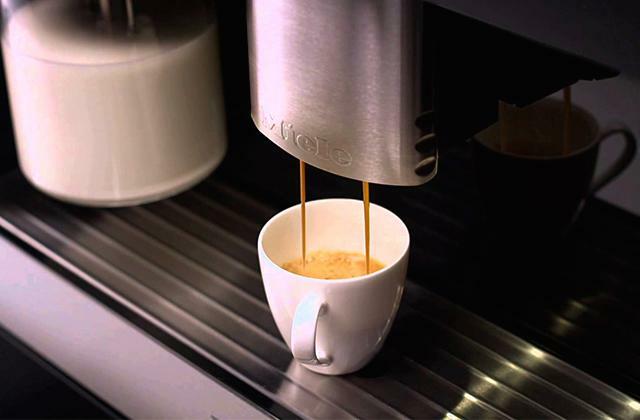 Plus, comfortable as the handle is, it makes it really easy and convenient to pour cup after cup. What else is there to say? Is there anything that can beat the beckoning sound of a kettle whistle? That cheery peep when the water's boiled and you can finally enjoy a nice cup of tea? KitchenCraft Le'Xpress will let you do just that, along with a close group of family and friends. As you can tell from the picture, Alessi Blue Bird is a slightly different kettle compared to other models in this review. It costs a little more but the unique appearance makes a fairly convincing case. Though the name's a little confusing. 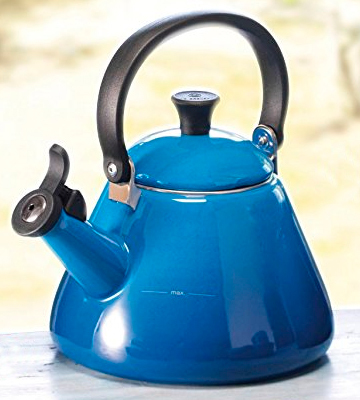 It's called a Blue Bird but the kettle itself features a sleek silver mirror finish. It is the handle that's blue and the actual bird that sits on the nose of the kettle has a reddish, almost brown colour. Of course, the bird-shaped spout cap is the biggest key to the said unique appearance and, for the most part, we really like it. That said, you have to take the entire spout cap off to pour the water, which is something that we find a little inconvenient. Other than that, we have no issues with the model's construction. 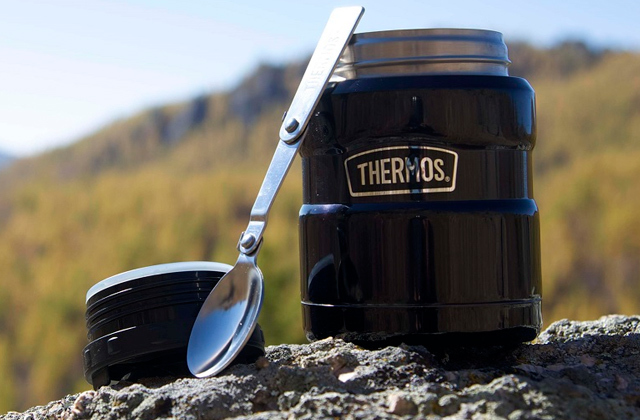 Made of robust nylon, the handle and the lid knob are particularly resistant to heat. The magnetic stainless steel heat-diffusing bottom heats up the water in no time at all. Plus, it is perfectly suitable with all cooking elements. 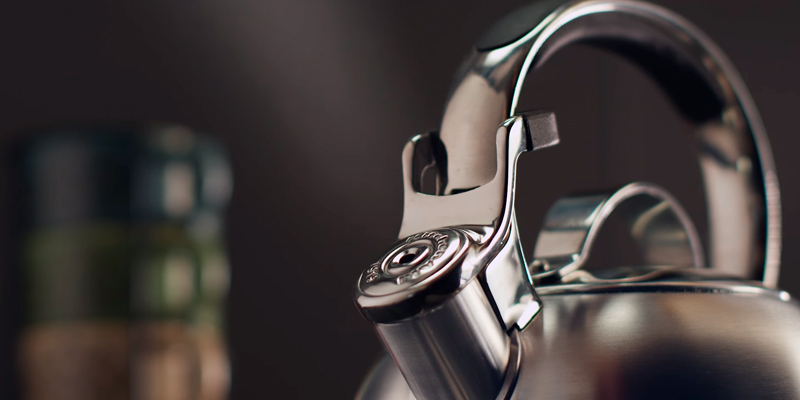 Just like any other stovetop kettle, the model comes equipped with a built-in whistle. 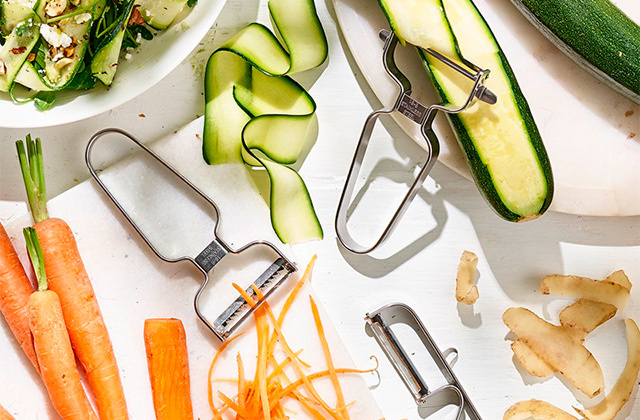 But here, that whistle is detachable, a nice little detail that will let you easily remove the whistle whenever you're in the kitchen and don't want to hear it whistle into your ears. To sum it all up, Alessi Blue Bird is a kettle for people who want something a little different, a product for customers who can appreciate a unique appearance and a bold design approach. Its whistle is loud and clear. The kettle is mostly practical. Plus, it makes for a great gift. Prestige PR50558 could use a better name. In fact, the company behind it could use a better name. It's not that it looks bad, just that the kettle doesn't have enough oomph to it to justify the name. Of course, that's mostly just us splitting hairs. Overall, this is a good kettle. The construction is rugged and solid. The porcelain enamel exterior comes in a variety of stain-resistant colours. 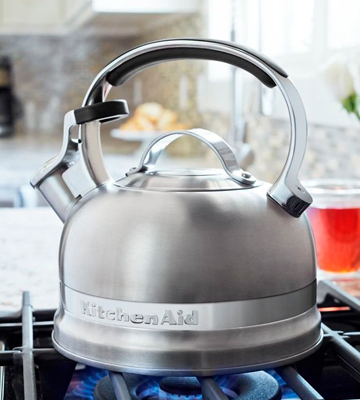 The tight fitting lid retains steam, so the kettle brings the water in it to a 100-degree Celcius temperature quickly and efficiently. In fact, some may find the lid a little too tight and stiff at first. But it gets more comfortable as time goes by without losing the tightness necessary to hold heat, so that is hardly that big of an issue. The lock-out spout comes equipped with a tapered rim. A construction like that makes the kettle drip-free. One of the best parts of this product is the price-to-volume ratio. 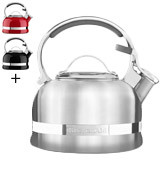 For less than 40 quid, you can get yourself a 2-litre kettle that is compatible with all gas and electric stovetops, including induction. The built-in whistle here starts whistling the moment the water reaches the boiling point, so you waste less time and resources. In short, sturdy, efficient, and affordable, Prestige PR50558 has earned its spot on our list fair and square. Furthermore, the company includes a 10-year warranty, another testament to its sturdy construction. 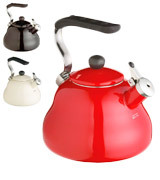 What Is a Stove Top Kettle? You're either a tea person or a coffee person, that's just the way of the world. Either way, you need a kettle to make that favourite beverage of yours happen. Though they're often referred to as tea kettles, surprisingly enough, these little devices are just as suitable for making coffee or anything that requires boiling water to the right temperature. There's probably not a whole lot of a reason to go into details as most people are probably aware of what kettles do and how they work. That said, there are a few details we would like to point out. Just about every kettle these days comes with a built-in whistle, so there's hardly a reason to focus on that. Most come equipped with the type of spout that incorporates a silicone lever and/or a plastic point. 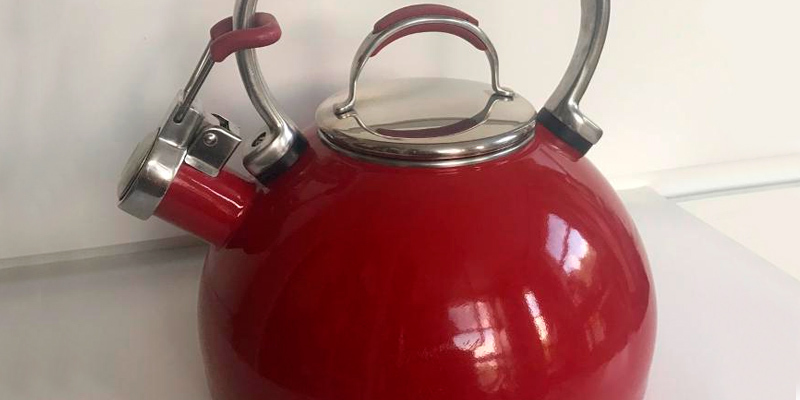 The majority of kettles are made of either stainless or enamelled steel as this is one of the very few commercially available and affordable metals that's able to withstand high temperatures. Apart from that, the only major variation between different kettle models is the volume. Live alone? A smaller kettle will suffice. Have a few roommates? Wouldn't hurt to splurge for a bigger one. Looking for new cookware? Our reviews of dutch ovens and griddle pans might just come in handy.